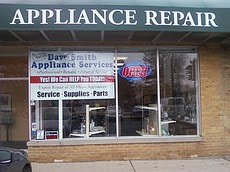 Monroe MI – Dave Smith appliance repair technicians are often asked for advice for deciding to repair or replace a broken appliance. The local repair man has noticed how many people will throw out a good appliance when it would make more sense to have it fixed. Sometimes a minor repair like replacing a fuse or adjusting a setting can get things working again. There are some cases where it is appropriate to replace a broken appliance. One rule of thumb in deciding whether to replace or repair an appliance is the fifty percent rule, which states the appliance should be repaired if the cost is less than half the price of buying a new one. But, this is only one factor and alone, is not enough to make a wise choice. 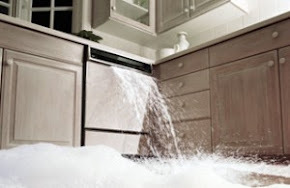 Dave Smith Appliance Repair (http://www.applianceservicemonroemi.com/) lists several factors other factors to consider such as the age of the appliance. All home appliances have an average useful life value, a number that represents the expected life of the appliance. Most appliances manufactured today are expected to last for over ten years. Of course, age is determined not only by number of years, but frequency of use. One that is used less and very well taken care of will last longer. Expensive, high-end appliances are more economical to fix than cheaper models. If the unit is less than 10 years old and has functioned well for the most part, then it would be a good idea to have an appliance service technician evaluate the problem. Dave Smith Appliance Repair technicians will provide their honest opinion as to weather the unit is worth fixing or should be retired. An appliance with a history of malfunction should be replaced. One that is breaking down often may have several faults making it weak as a whole. If for any reason one is unhappy with the appliance; it doesn’t look right in the home or it doesn’t fit right in the space, it’s hard to use or simply inefficient, they may not want to spend the money repairing it. On the other hand, if they like the appliance, it matches well with surrounding décor, works great and has the best features and has been reliable in the past, then repairing it is a sensible idea. Purchasing a new appliance can be a lot of work when one considers researching new brands, getting one that looks right, disconnecting and disposing of the old one, having the new one installed, getting familiar with operating it and so on. Even though they come in standard sizes, the fit might be awkward and installation costly if a carpenter, plumber or electrician has to help with power, water or gas connections. Dave Smith Appliance Service also lists some advantages to buying a new appliance. Newer models are generally more energy efficient and have upgraded features making them easier to use. New washing machines and dishwashers have water saving capabilities. The latest clothes dryers have moisture sensors that turn it off when laundry is dry. Many new appliances are Energy Star rated. Another factor to consider is the environment. Repairing an appliance will help cut down on pollution created in manufacturing new ones as well as destruction of habitats resulting in mining the materials used to build them. Sending old appliances to the landfill introduces chemicals like flame retardants, heavy metals, lead, arsenic and mercury into the groundwater. Refrigerators that are not processed properly can leak refrigerant into the environment. Dave Smith Appliance Repair suggests considering all the facts before making the important decision as to fixing or replacing a broken appliance. If the choice is to replace it, then take the old one to a recycling center to prevent environmental damage. 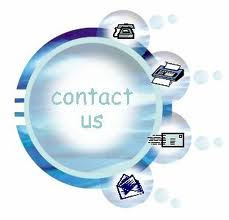 Dave’s company takes pride in providing quality customer service from start to finish. They are always reliable, professional and they arrive on time. They schedule 2-3 hour time windows and the technician calls the customer when he is on the way. Dave Smith Appliance Service exceeds customer satisfaction and offers an outstanding warranty, including a limited lifetime warranty on workmanship. Visit http://www.davesmithappliance.com to learn more. Dave Smith began working in the appliance industry while still in High School in 1979. 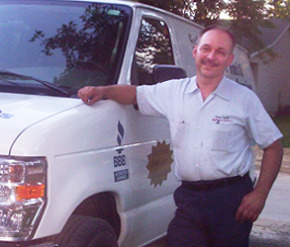 Dave began his own appliance repair service in 1983 and operated on his own for many years. Dave Smith Appliance Service is now a family operated business with several service vehicles and a full time office staff. Dave’s and his technicians are MCAP certified and Dave is a Certified Service Manager as well. Few companies have this level of accreditation. Dave Smith is a member of the Professional Servicers Association, United Servicers Association and the Better Business Bureau as an accredited member with an A+ rating.